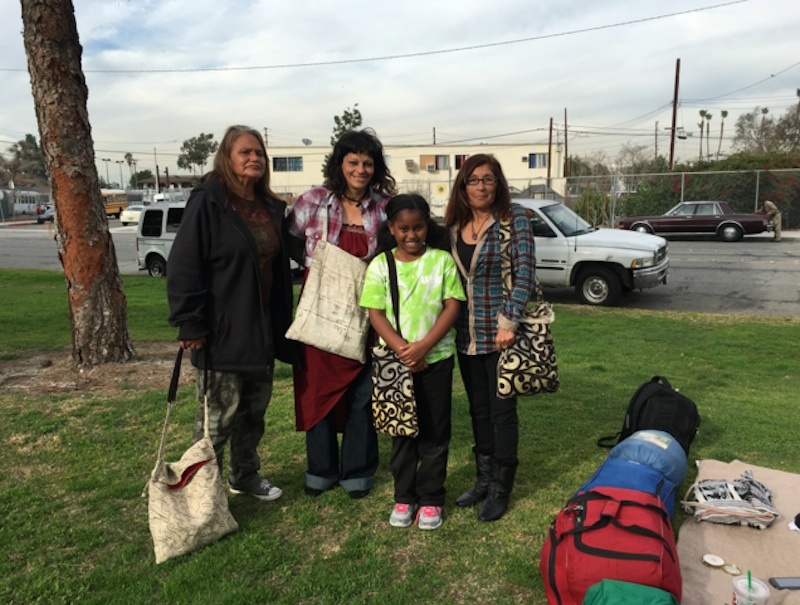 More than 17,000 people in Los Angeles are homeless; and while government bodies struggle with the best way to tackle this issue, a local 9 year-old is taking tangible action to provide necessities for some of the homeless women she sees on a regular basis throughout the city. Khloe Thompson has been filling bags with basics like feminine products, lotions, soap, and socks, and distributing them around Los Angeles. While this good deed would be exemplary even if the bags Khloe was passing out were plastic, she has actually been sewing the Kare bags herself (with a little help from Grandma) to gift the women with sturdy and beautiful bags that they will be able to use for a long time. 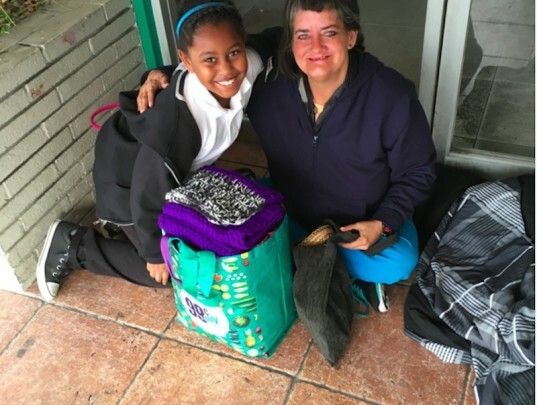 Khloe wanted to help the homeless women she passed by each day on the way to school, and her Kare bags have since been enthusiastically received. The reception from others inspired by Khloe’s passion project has been promising as well. Several of Khloe’s classmates have donated to her project, and she recently received donations from Dove including 1,000 bottles of shampoo and conditioner as well as 1,000 bars of soap. The roomy shoulder bags are often made on printed fabric and even feature decorative details, giving these vulnerable women a thoughtful and attractive reminder that this little girl thinks about and cares for them. This summer Khloe hopes to hold a massive toy drive to provide dolls and trucks to children living in group homes. Like any mini mogul of the media age, Khloe is also cooking up her own Youtube Channel and a variety of side projects. In the meantime, Khloe and her mother are raising funds to register Khloe Kares as a 501 c(3) organization and to help with Khloe’s future philanthropic projects.